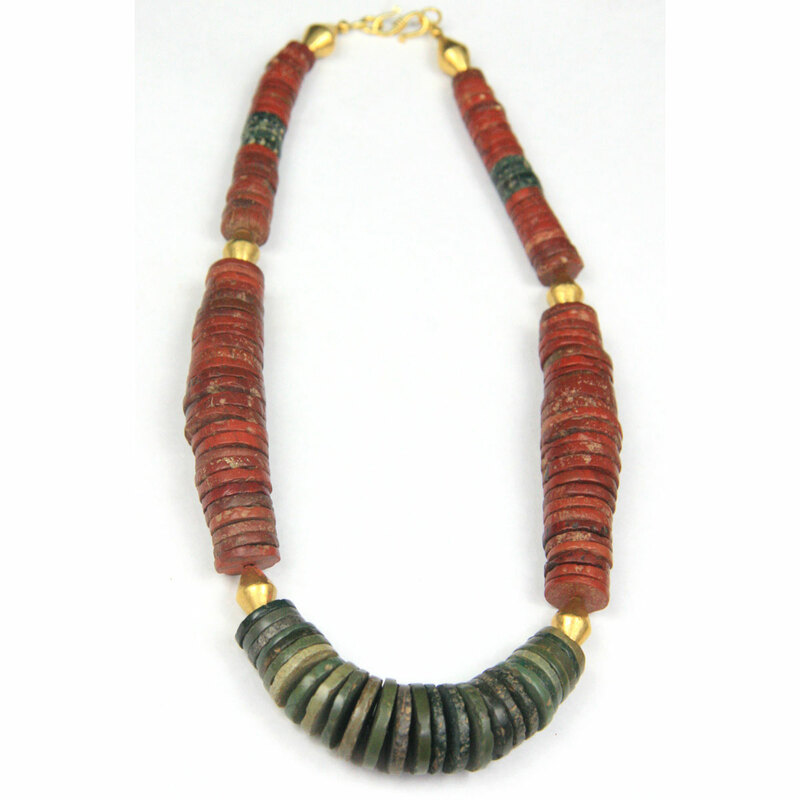 ﻿ Indian and Himalayan : Ancient Nepalese jasper disc-shaped bead necklace with gold elements. 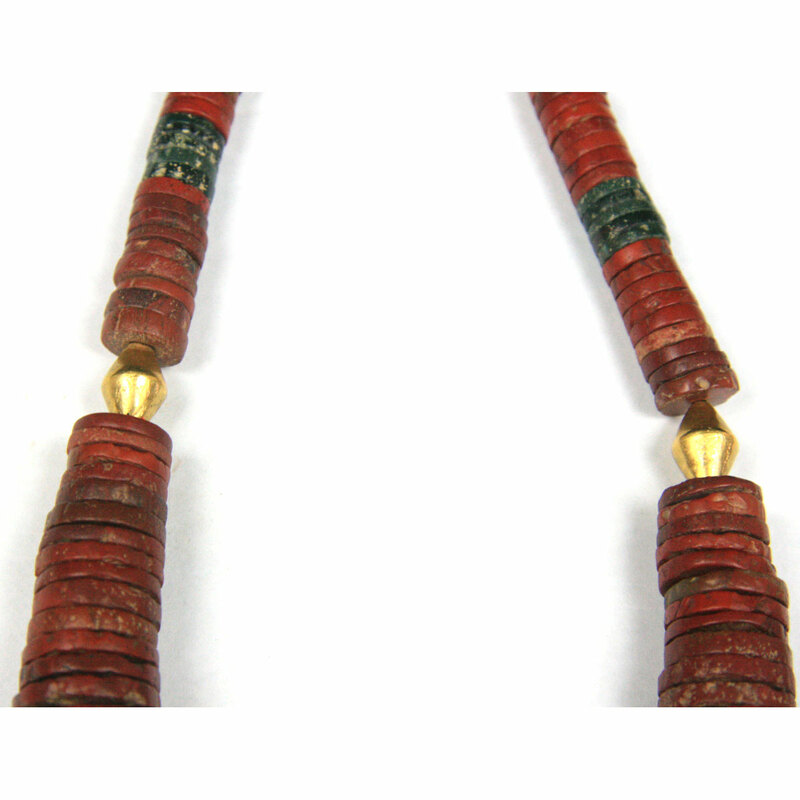 01.An old Humboldt Bay canoe prow. 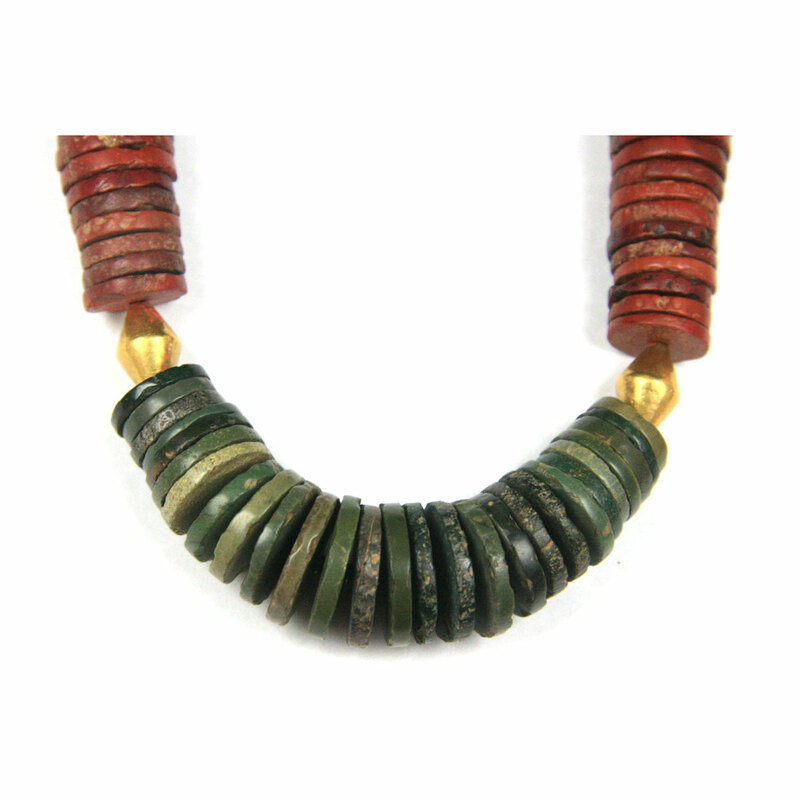 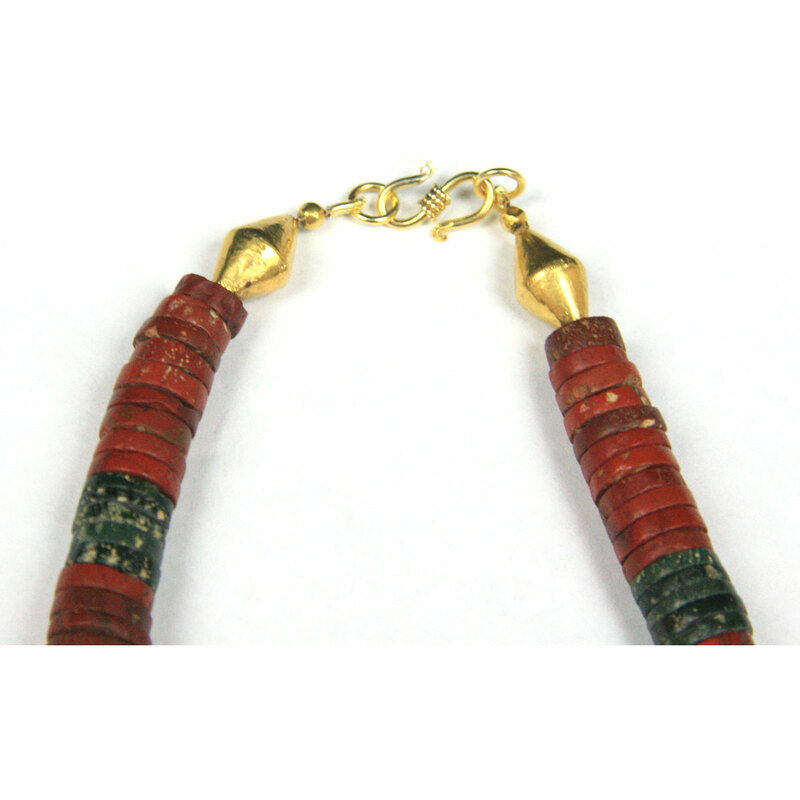 A necklace of ancient Nepalese green and red jasper disc-shaped beads, interspersed with six modern 18 carat gold over resin beads, strung on plastic coated wire finished with a gold plated sterling silver clasp.